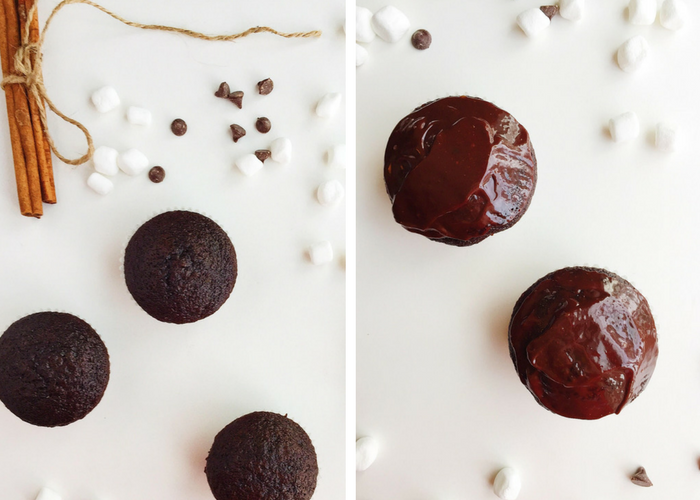 These Hot Cocoa Cupcakes taste like a cozy cup of hot chocolate, in cake form. 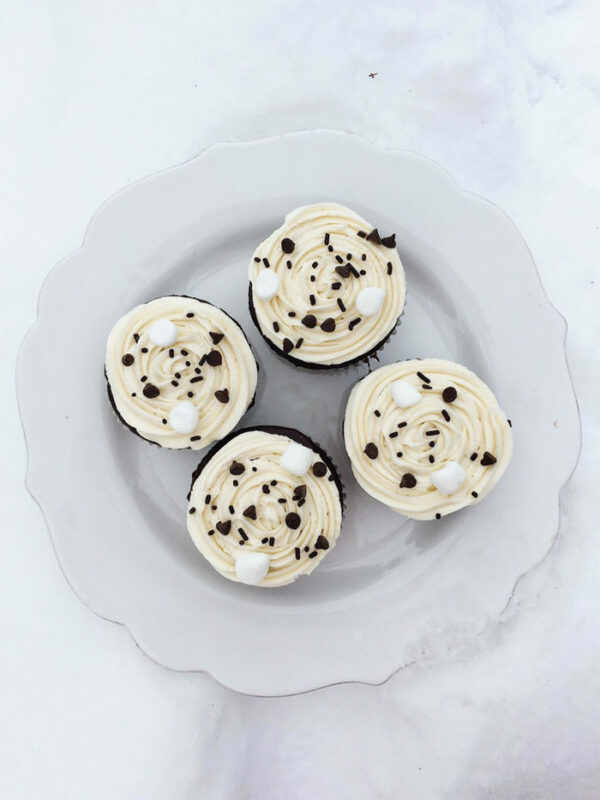 Moist chocolate cupcakes are topped with a winter-spiced chocolate ganache and fluffy marshmallow buttercream. Christmas is 3 days away. Three. I feel like it just came far too quickly. This is most likely because the end of 2016 came with several life changes and newly added stressors. I am very much looking forward to a new year. In happy, albeit chilly, news: I’ll have a White Christmas this year, for the first time in a really long time. I tried to stay ahead this holiday season, and I succeeded in that. All of our presents to our friends and family back home (East Coast) have been wrapped, boxed, and shipped. Actually, all of my presents have not only been purchased, but have been sitting neatly wrapped underneath the tree for nearly three weeks. Last year, I was really behind with things and stressed out. I just wanted to have a quiet, enjoyable Christmas this year, and to get everything done as early as possible. I think I should reward myself. 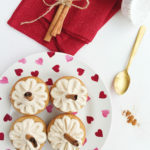 Perhaps with some Hot Cocoa Cupcakes. Okay, so I didn’t actually make these for myself, but I had two of them, and that is reward enough. I made these cupcakes for a Christmas party at my dad’s Army unit. They loved them, and I was happy. The least I can do for our United States Military is make them some cupcakes. It’s been so cold here in the Pacific Northwest. Every night, I look forward to some hot tea or an occasional mug of hot cocoa. That’s what inspired the flavors of this cupcake. I guess I’ve been on a bit of a cupcake kick lately, huh? 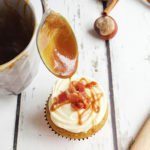 Between the Rum-Spiked Eggnog Cupcakes and the Maple Bacon Pumpkin Cupcakes. 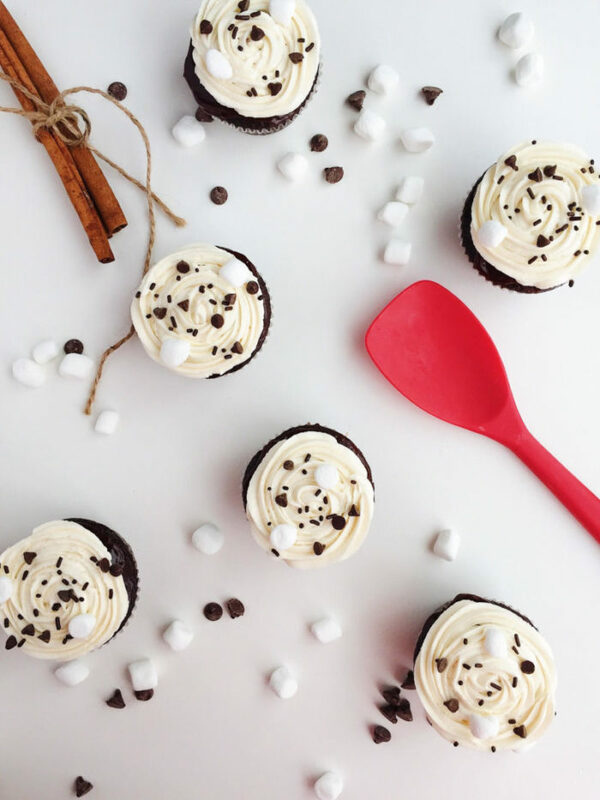 But these Hot Cocoa Cupcakes may indeed be my favorite. 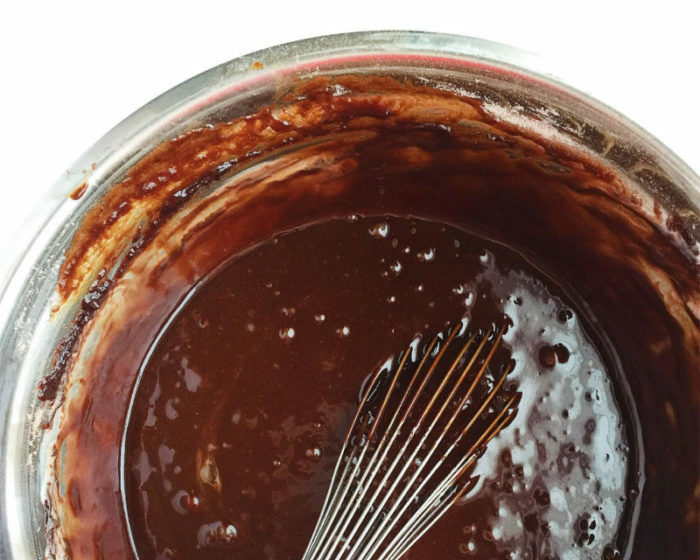 I make a moist, rich chocolate cake batter that I’ve perfected after many years. The batter is incredibly simple, though, and can be made in one bowl, no mixer necessary. I then top the cupcakes with a chocolate ganache that’s spiced with cinnamon and freshly ground nutmeg. Then, of course, the creme de la creme. What mug of hot chocolate is complete without some marshmallows? 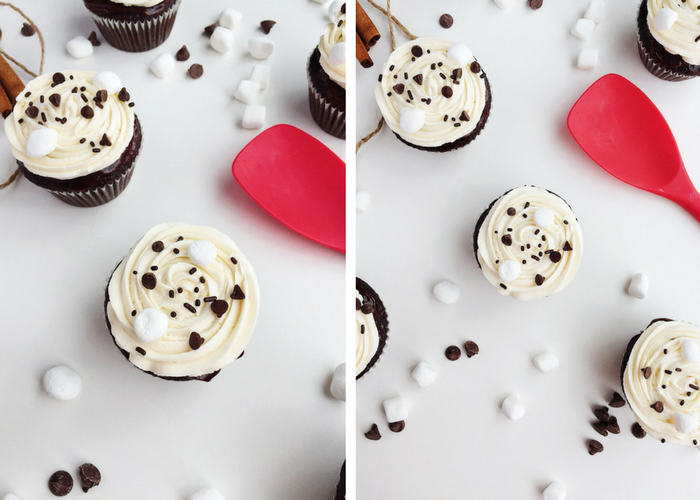 Naturally, these Hot Cocoa Cupcakes get crowned with fluffy, pillowy, vanilla-scented marshmallow buttercream. Little fixin’s such as mini chocolate chips, mini marshmallows, and chocolate sprinkles are a nice finishing touch. 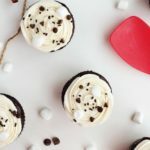 Perfect for the winter and a homely cupcake that anyone would love, I hope that you enjoy these Hot Cocoa Cupcakes for yourself, or perhaps to share or gift to someone who you appreciate. Preheat the oven to 350 degrees and lightly spray 24 cupcake liners set in cupcake baking trays. In a small saucepan, melt the butter, vegetable oil, and coffee. Set aside to cool a bit. 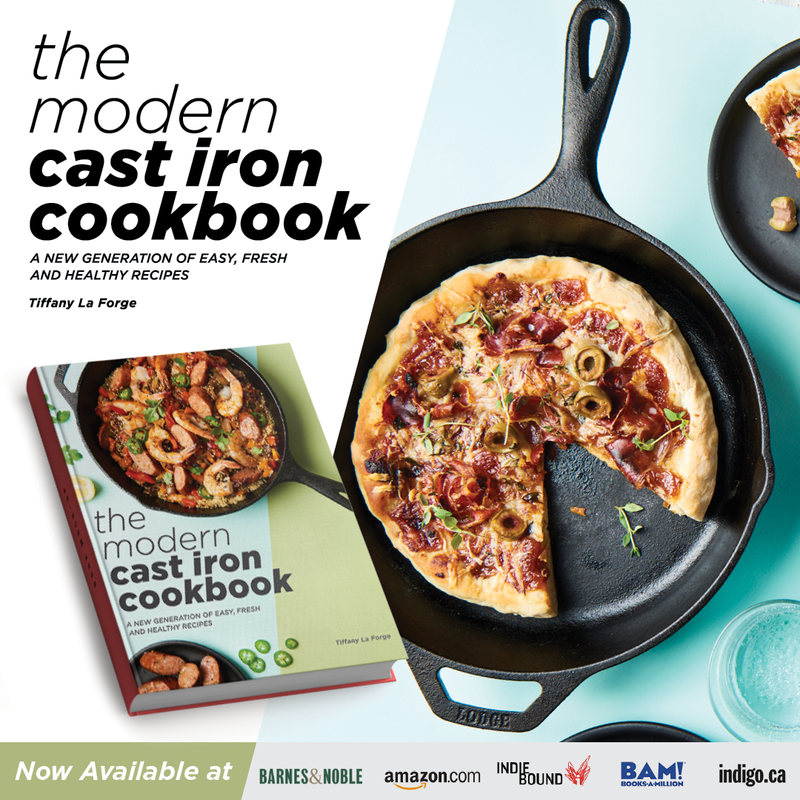 In a large mixing bowl, whisk the flour, cocoa, sugar, brown sugar, baking soda, and salt. Pour the coffee mixture into the dry mixture and whisk well until combined. Add in the eggs, whisk to combine. Finally, mix in the buttermilk and vanilla. Divide the batter among 24 cupcake liners, filling them about 3/4 full, Bake for about 20-22 minutes, until the cupcakes spring back when touched and a toothpick inserted comes out clean. Heat the cream until hot but not boiling. Pour the cream over the chopped chocolate, spices, salt, and vanilla. Let sit for about a minute and then whisk until combined. Set aside. In a standing mixer fitted with a paddle attachment, beat the softened, room temperature butter about 1-2 minutes. Add in sifted confectioners sugar little by little and cream until combined and fluffy. Add in the marshmallow creme and the vanilla seeds from one vanilla bean. Beat the frosting a few minutes until combined and fluffy. Beat in the cream. 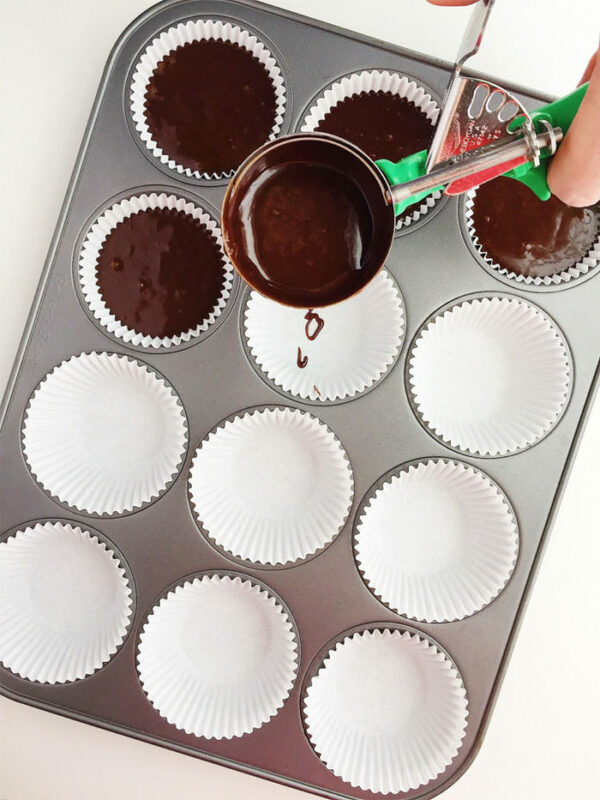 With a small offset spatula or knife, spread a thin layer of ganache on the top of the cupcakes. Frost with the marshmallow buttercream and top with mini marshmallows, mini chocolate chips, and chocolate sprinkles. Enjoy! NOMS! What a treat! 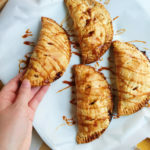 I can’t wait to try these! hope you love ’em, Sandi! I think I have my next snow day treat! 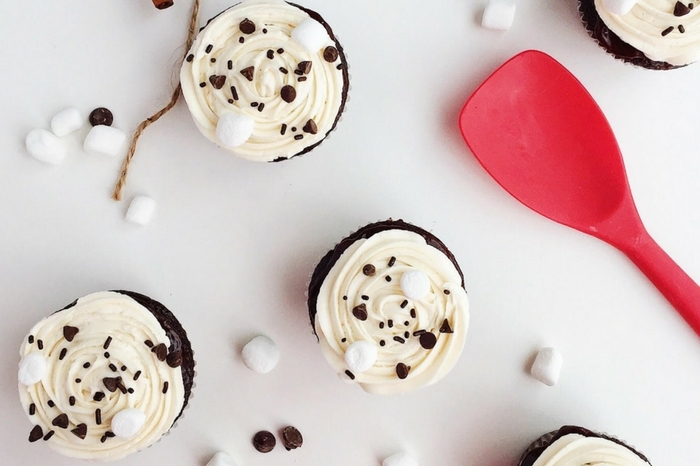 these are perfect snow day pick-me-ups! 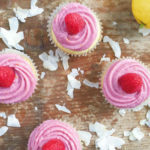 I am literally drooling just looking at these cupcakes! Must try! These are a chocolate lovers dream. They sound totally delicious…and the marshmallow topping…YUM! The marshmallow frosting is truly my favorite part!! 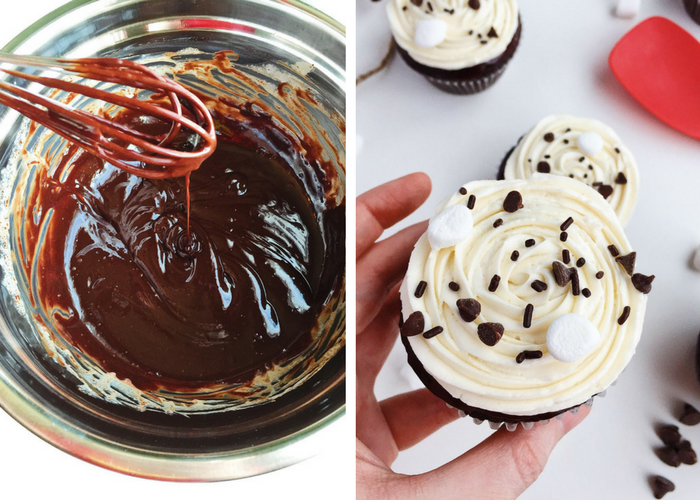 I love that you added the chocolate ganache until the frosting, what a great idea! Thank you! 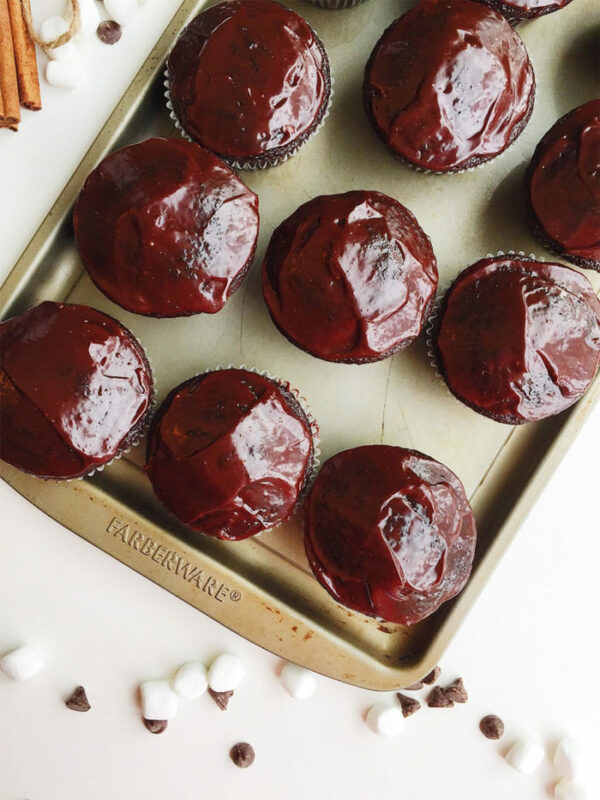 I really love doing this with most chocolate cupcakes – it adds another depth of flavor (especially if you flavor the ganache) but it also keeps the cupcakes nice and moist, too! I can devour all the cup cakes without feeling an ounce of guilt. Thats how much I love anything chocolate. I know 6 boys who would really like to rip into these cupcakes, especially the marshmallow buttercream! 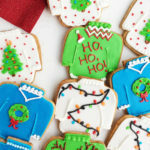 These look perfect! I’m a big fan of hot chocolate any time of the year (yes, I get weird looks) and I cannot wait to make some of that marshmallow buttercream. What a treat! 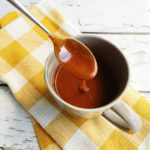 Hot chocolate in summer! I do *love* frozen hot chocolate in the summers (made popular by Serendipity). sooo good! Thanks for the sweet comment!